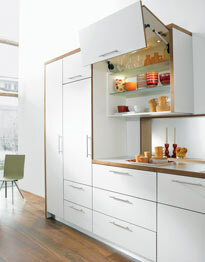 We manufacture kitchen cabinets to your exact measurements - eliminating unnecessary fillers. We custom design and build all our renovations and have a great range of styles, products and designs for you to choose from. The wide variety of finishes and profiles available means, that at Good Living Kitchens there is a kitchen to suit every taste and budget. Do you need more laundry or storage space? Well, at Good Living Kitchens we supply DIY, standard cupboards, ready to assemble and install yourself or we can custom build your cupboards to suit your available space and needs. Whatever your need is, at Good Living Kitchens, we are only too happy to help you make your dream a reality. We have a great range of bench tops, doors and colours to choose from. Shopping around for a new bathroom vanity can be time consuming and frustrating because trying to fit a standard size vanity in your bathroom space can be near impossible. However, at Good Living Kitchens, provide vanity cabinets to suit your space and needs, in your desired colours and finishes. Give us a call today and see what we can do for you.